If you’ve not had clothing created especially for you before, what can you expect? 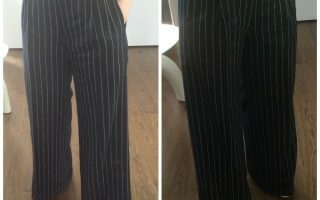 The process of selecting the style, fit, fabrics and trimmings, and seeing your garment take shape over a series of fittings is an enjoyable part of the experience. It will involve you investing a little time, but we’re happy to schedule appointments to fit around your diary, and the result will be a one-off that you will treasure for years to come. Kerry’s studio is unlike most traditional tailors’ premises; everything about the environment and ambience is designed to ensure her clients feel comfortable and instantly at ease. You won’t find pushy sales staff, production assistants – or intermediaries of any kind in fact. Kerry will take personal responsibility for all aspects of your commission, getting to know you, your likes and dislikes, and helping to guide and advise you as you both plan your new garment. Of course, tailoring time varies depending on the project, but typically a suit will take 6 – 8 weeks to create from start to finish. 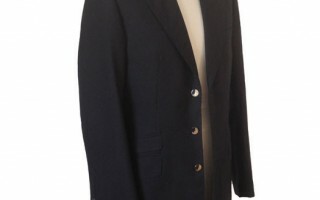 It will involve around 50 hours tailoring, and you will need to have two or three fittings. You will meet Kerry to have your measurements taken, and to discuss your requirements in detail – talking through fabrics, design style and fit. Following this initial appointment, your cloth, lining and trimmings will be ordered in and Kerry will draft and cut a pattern, making up the suit ready for your first fitting. At the first fitting your suit will only be part made, and you will be able to see the canvas and ‘inner workings’ as it begins to take shape. Kerry will mark up any alterations which may be necessary, and following the fitting, will take the suit apart again, re cutting and, making any changes before putting it back together for a second, more advanced fitting. Your suit is finished! This final fitting is an opportunity for both of us to ensure we are completely happy, and make any minor adjustments if needed. For ladies suits, an additional fitting is often required to take account of our more curvaceous body shapes! Each garment we craft in our studio is exclusive; as individual as the person we make it for. As with any unique creation, the price can vary depending on many factors including the materials specified, the level of complexity, and the time involved in the design and hand production process. All our cloths and trimmings are excellent quality sourced from UK mills where at all possible. 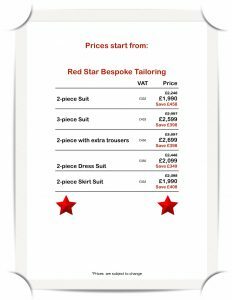 The lowest band of our suits are Red Star Suits, moving up to Blue, Silver, Gold and the very exclusive Double Gold which is individually priced. You can find a variety of colours and finishes in each price band so there is something for every budget. It is customary to take a deposit at the time of ordering to secure the cloth (making it spoken for, hence bespoke) and staged payments up to the collection of your suit. We are also able to source from other UK mills where needed. 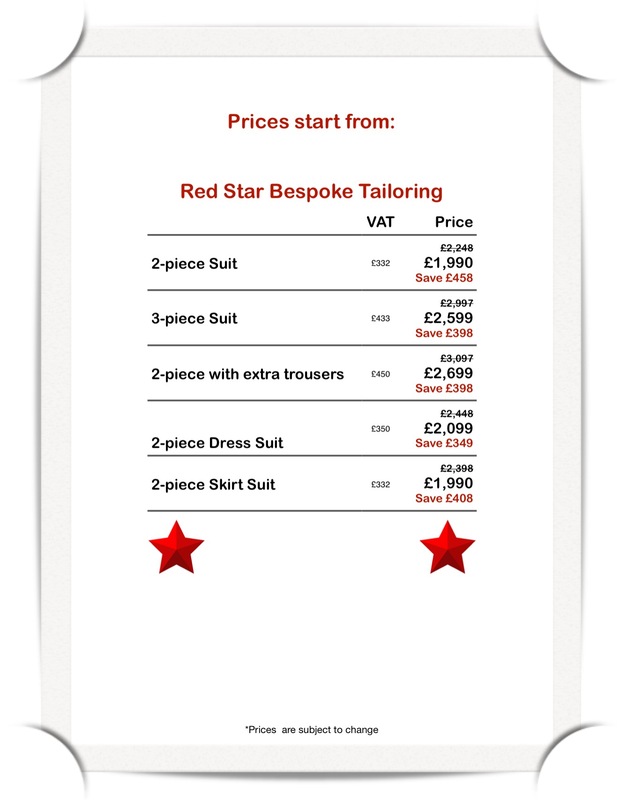 "Never underestimate the difference in quality when you invest in bespoke. My suits can last 10 to 20 years."